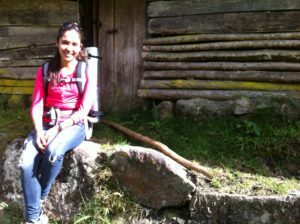 Mariel graduated as a Natural Resources Engineer in 2011 from the National University of Salta, Argentina. 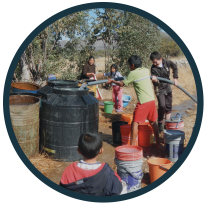 Her Thesis research was focused on the valuation of water services in a rural community in Tarija-Bolivia, after the completion of her studies she kept working voluntarily with the community. As a result of the work done by the community and her, RARE International chose Mariel as a programme coordinator. In late 2011 she joined ASOCIO, an NGO focused on the improvement of the livelihoods of rural communities. Her work was focused on identifying potential water sources for irrigation and drinking water. After ASOCIO she started working in the Municipal Government of Tarija, Bolivia as an environmental technician in the Secretary of Environment. In 2013 she started working in EIA as a Project Manager, managing projects in La Paz and Tarija. In 2014 she left to The Netherlands to start an MSc in Water Services Management in UNESCO-IHE. 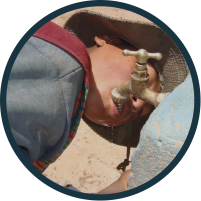 Her thesis research used a water governance perspective to analyze a waste water allocation conflict in Tarija, Bolivia. She is now in the process of writing a paper for a scientific journal together with her mentor and an Argentinean scientist. After completing her studies in 2016 she was again incorporated in the EIA staff as a Program Coordinator. Mariel is interested in gaining knowledge about water access dynamics (formal and informal) in developing countries and wishes that through her work she can contribute to water justice and equality.